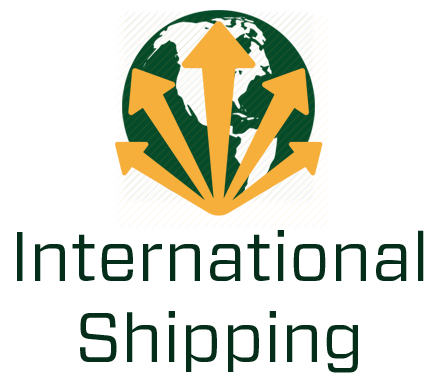 NIDEC-SHIMPO has established itself over time as a leading supplier of drive technology and precision power transmission solutions to the industrial marketplace. With traditional roots that began imbedded in the development of mechanical variable speed powertrains, SHIMPO has grown into a more diverse manufacturer of high precision and heavy duty power transmission products. 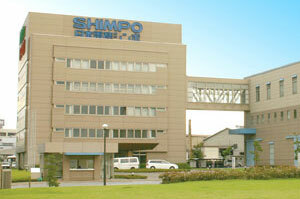 NIDEC-SHIMPO has been at the forefront of developing gear technology to fill the requirements of our OEM customers. Our close partnerships with our installed customer base provided much insight into their evolving need for more high-precision right-angle gearing options. 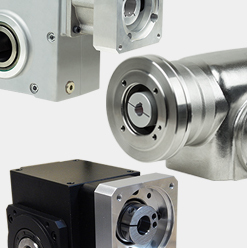 In order to fill that need, NIDEC-SHIMPO expanded upon our right angle product offering to include a variety of high-precision worm gearboxes, known as our EJ Series. 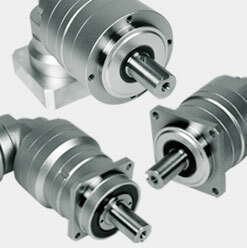 These servo grade speed reducers are ideal for the most challenging of motion control applications. Each series incorporates a globoidal worm gear mesh design in order to achieve the torque handling capacity and the highest levels of precision that our SHIMPO customers have come to expect from us. The input design of our EJ right-angle gearbox applies the same concept of motor modularity that is common across our High Precision product family, meaning our customers and distribution partners get the same level of flexibility, product variety, and overall availability that is unparalleled within our industry. These right-angle servo grade gearboxes are ideal for applications within custom assembly and test systems, packaging equipment, metal cutting and metal forming machinery, general purpose automotive, among many others. If your application requires the compact footprint of a right-angle worm gear without sacrificing on the performance, contact NIDEC-SHIMPO about the EJ Series today. NIDEC-SHIMPO expanded from its early roots in mechanical powertrains into higher precision gearing as the motion control market and servo motor technology started to rapidly evolve. 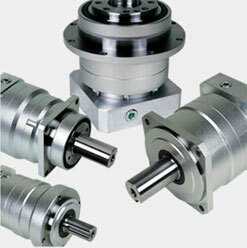 Our initial planetary gearbox series were developed to specifically serve the needs of our major robotics customers in Japan and other areas of southeast Asia. During this product expansion, NIDEC-SHIMPO was able to leverage our production engineering expertise and high volume manufacturing capabilities to become the dominant precision planetary gearbox supplier within the robotics segment and throughout the Asia-Pacific. NIDEC-SHIMPO followed this early development with the introduction of a high-precision planetary series variety that was more suited to compete throughout the global marketplace. The base design platform for each of these series incorporated a modularity of subassemblies and standardization of components that facilitated high volume, efficient production. With our inline planetary portfolio, our customers have access to a wide variety of frames sizes, ratios, and many configurations are unmatched across the industry. For performance, quality and overall value, look no further than NIDEC-SHIMPO. To expand the potential configurations and overall solutions that we could offer our customers, NIDEC-SHIMPO has developed an impressive right-angle planetary gearbox offering. The core right-angle products are established from the base design of their inline equivalents. Similar to our Inline offering, our EV right-angle series have some differences in terms of internal bearing design, output mounting, among others that differentiate each series from the other. 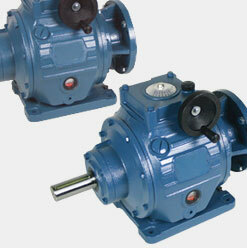 The different series are available in the same frame size variety and most of the ratios as offered with the inline. Please review the performance specifications below and consult NIDEC-SHIMPO for any additional details. High reduction ratios, without sacrificing efficiency. Compact designs, without requiring special motors. Exceptional shock load capacity, without having to oversize. Greater overhung load capacities, without using expensive special components. 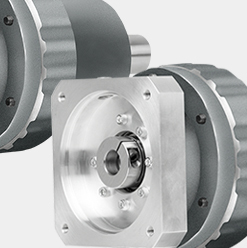 The (Servo ER) Circulute is ideal for those applications in heavier industrial environments where a more robust cycloidal gearbox is necessary. The dual pin-housing of the cycloidal provides the ability to adjust one wheel against the other reducing the output shaft backlash to less than 6 arc-min. The long output shaft bearing span provides exceptional overhung load capabilities. At 3,000 rpm input the (Servo ER) Circulute can handle motors up to 9 kW and single reduction ratios ranging from 11:1 to 71:1. The NIDEC-SHIMPO Ring-cone has a strong advantage over the common electronic variable speed drives in certain performance aspects. The Ring-cone is a mechanical adjustable speed drive utilizing a ring and cone friction power train – hence the name. The internal drive assembly consists of an input disc, a set of planetary cones, a control ring, the cam disc and a pressure control cam. The Ring-cone has different sizes to handle motor power ranging between 1/4HP – 20HP, and nominal output torque ratings spanning 15 – 130,000 in-lbs. This unique drive provides a speed range of 0 – 800 RPM, and a cam mechanism that adjusts to the environment downstream and can withstand a certain amount of shock load.